Finally. 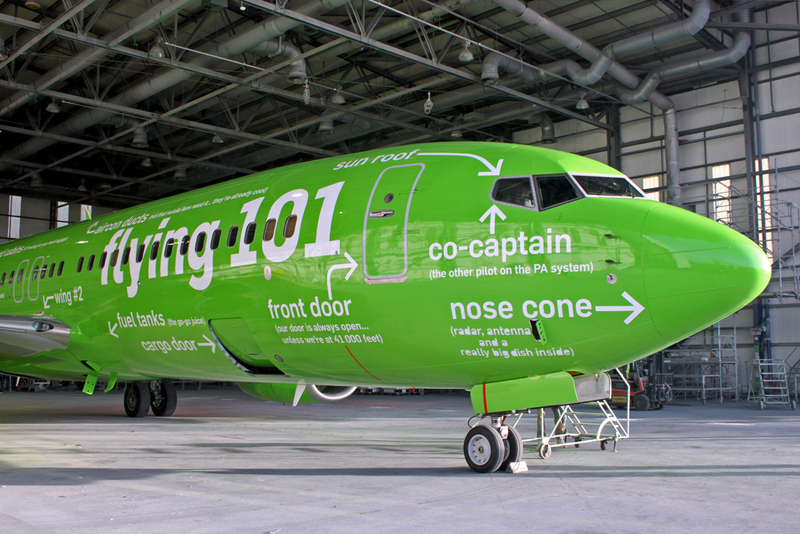 An airline with a sense of humor! When is an airline’s livery more than just a bunch of paint? 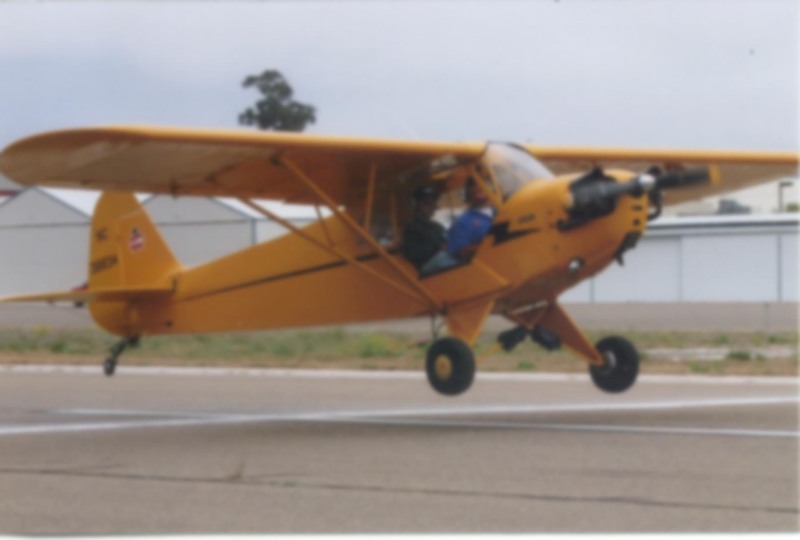 When it makes a buzz on the internet which goes far beyond the likes of aviation geeks like me. 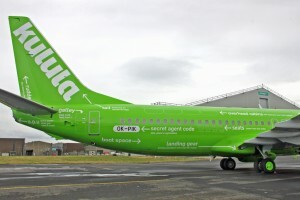 I’d never heard of South African carrier Kulula Airlines until today. And odds are, you hadn’t either. Given the chance, though, I’d fly with them in a heartbeat just based on what’s in these pictures. Typical male response, eh? Only concerned with exterior appearances! 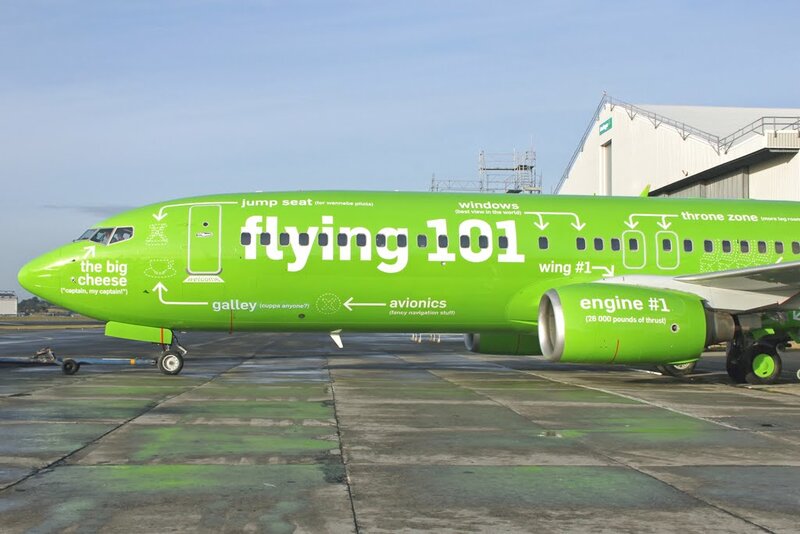 Seriously though, it speaks volumes about Kulula that they set aside the laws of corporate branding long enough to acknowledge the oddity of the aviation lexicon. To the average passenger, it’s undoubtedly an off-putting jumble of terms, acronyms, and abbreviations. They acknowledge this, and do it with a sense of humor which will bring a smile to neophytes and veterans alike. Most American carriers wouldn’t have the chutzpah to green light this sort of thing. They tend see the exterior spaces of an airliner fuselage as a place to sell advertising to the highest bidder. I’ve seen theme parks, NBA basketball franchises, states, magazines, and other entities advertised. 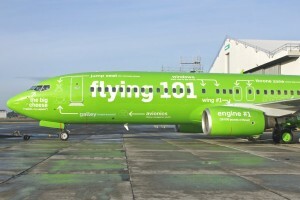 Perhaps it’s part of the financial equation and simply a necessity to keep the airline profitable. Whatever the reason, I salute Kulula. Perhaps there’s a moral here: putting the fun and enjoyment back into aviation can help the bottom line, too. 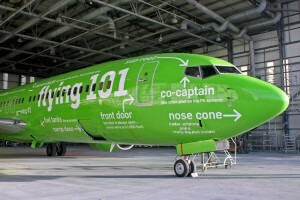 Here’s hoping “Flying 101” is viral enough to bring some of that thinking up to our hemisphere.